This offer seems to be by region! Love this! 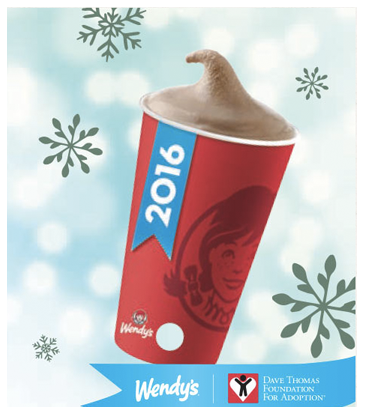 For a limited time, buy a Frosty Key Tag for only $1.00 at Wendys, and receive FREE Jr. Frosties with every purchase throughout 2016! For every key tag purchased, Wendy’s will place $0.90 straight into the Dave Thomas Foundation for Adoption, helping children in foster care. This is an amazing opportunity to score a tasty treat year round by helping out a great cause! This offer will only last for a limited time, so score your Frosty Key Tag at your local Wendy’s now before this offer ends!